Last year I posted about zum Ackerbürger, L’Osteria and Cavos Taverna during my trip to Germany. My birthday was also during this trip and I wanted to try something a bit different. 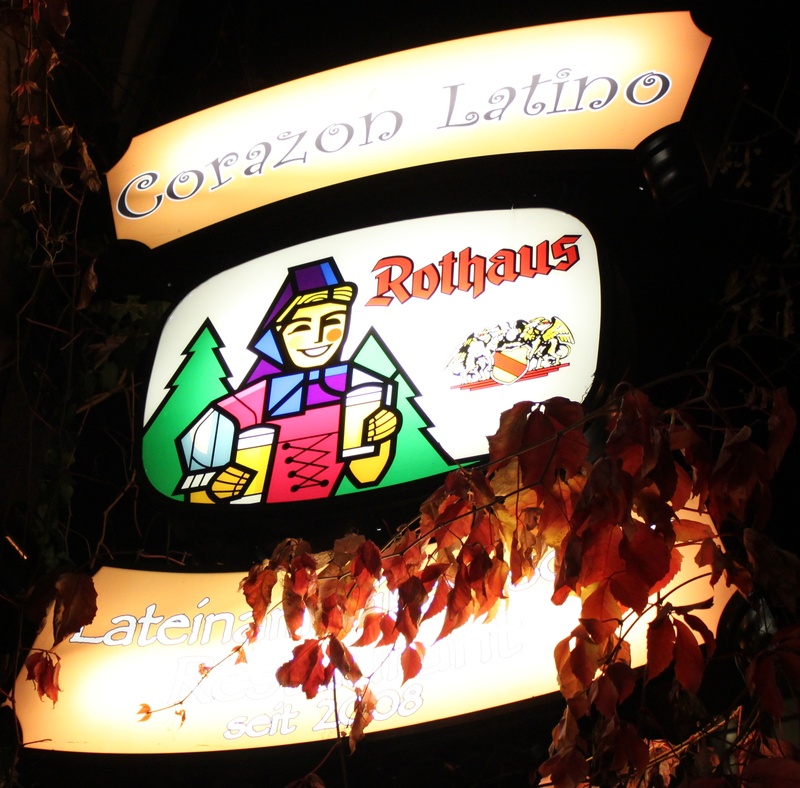 Enter Corazón Latino, a Colombian restaurant in Stuttgart. Upon entering you feel like you stepped into some kind of vortex and landed in another world/country. The restaurant itself is more like entering a home. There is a waiting area in the front with a small bar behind it. The dining room is basically a big living room with communal tables and Botero paintings fighting for wall space with maps and various posters. It is really warm, cozy and bursting with activity and Latin American music playing. Is it kind of loud? Yes, but you are at a party not a restaurant so you expect nothing less. The owner, a Colombian woman by the name of Erika Marina, is larger than life. She seems to be able take food orders, deliver drinks and chat with everyone at the same time. Make no mistake, you will get your drink almost right away but you will have to wait for your food. This doesn’t matter because you might as well be in Colombia where people take their time to eat and are only in a hurry to have a good time. This is probably part of the appeal to the German clientele where order and softer voices are more the norm in most restaurants. 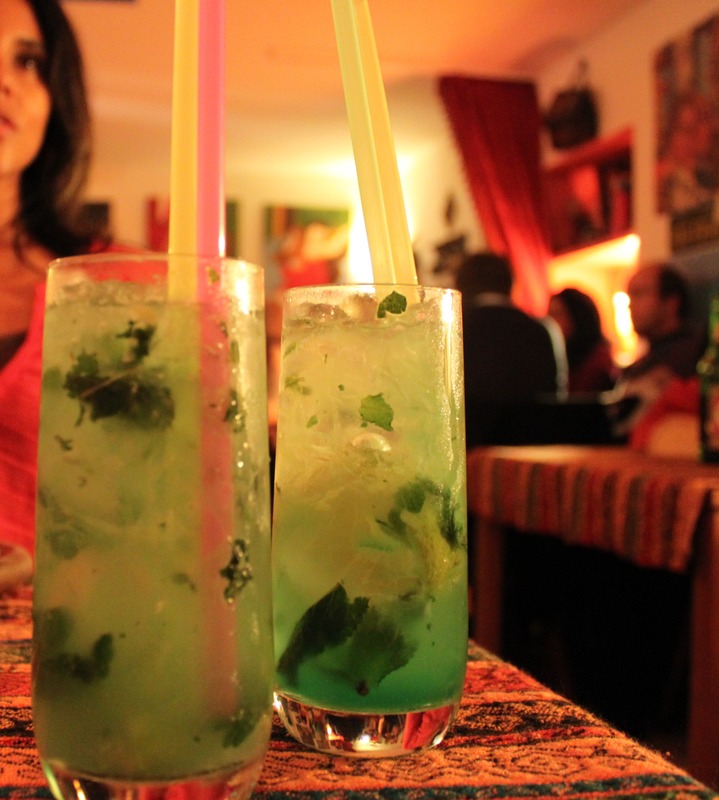 The mojitos were nice and fresh and they did not skimp on the alcohol. We did have two rounds before the main courses came out but hey; it was my birthday so seemed natural. 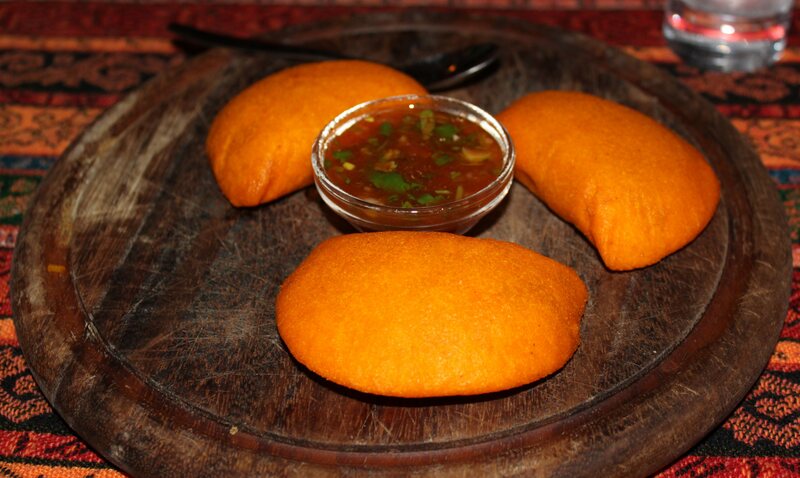 The empanadas were light, flaky and full of flavor. The menu is pretty extensive with dishes from various Latin American countries and even beers from several different countries. Unfortunately since it has been over a year and I have lost my notes I do not have the name and descriptions of the entrees so I am sure I am leaving some things out. 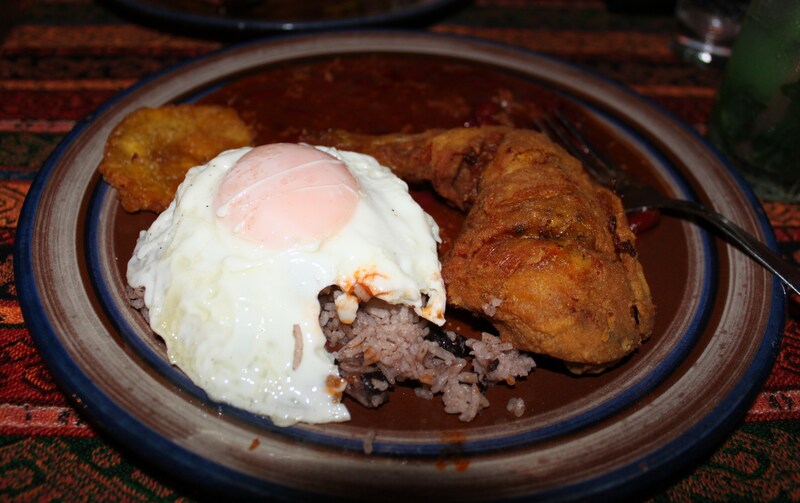 My dish was fried chicken, rice and beans, plantains and a fried egg. The meal was worth the wait and a very generous portion. 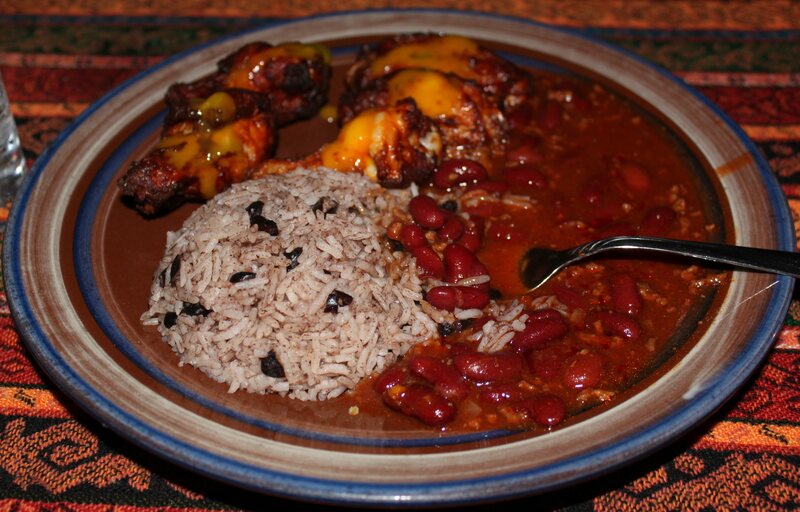 The other entrée was BBQ chicken, red beans with pork, rice and black beans. The sauce on the chicken was a bit spicy and very tasty. I also enjoyed the extra flavor the pork added to the red beans. Full of mojitos and food we didn’t even dare order dessert. Joining in on the party that is Corazon Latino was such a rich experience you don’t even miss dessert. I am sorry to report that since eating there, Corazon Latino has closed. They hope it is only a temporary closing so if you are ever in Stuttgart you should look them up to see if they are back in business! ¡Buena suerte, Corazon Latino!